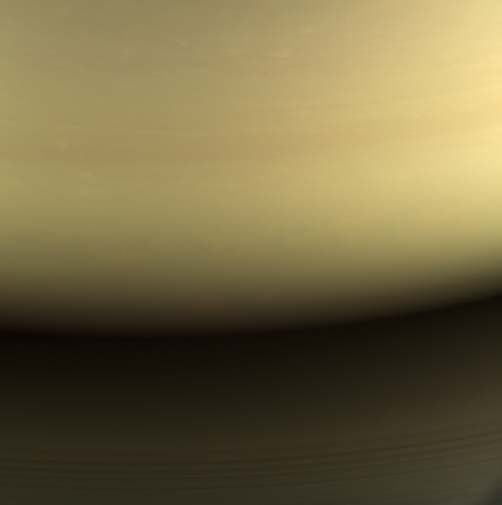 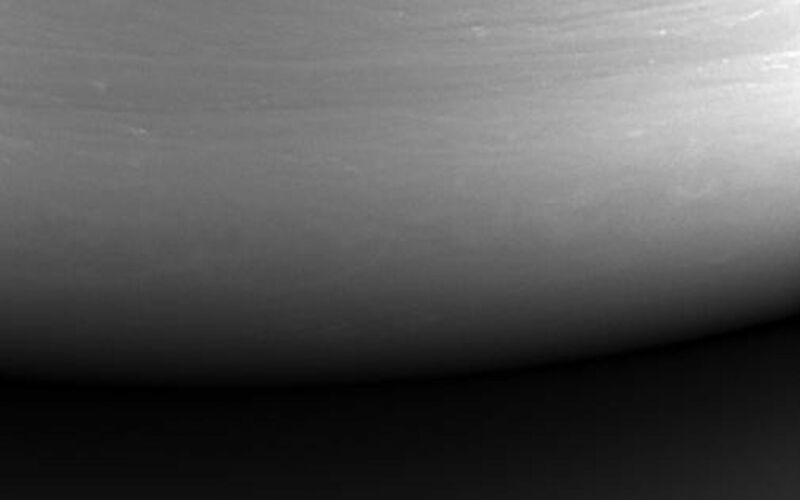 This monochrome view is the last image taken by the imaging cameras on NASA's Cassini spacecraft. 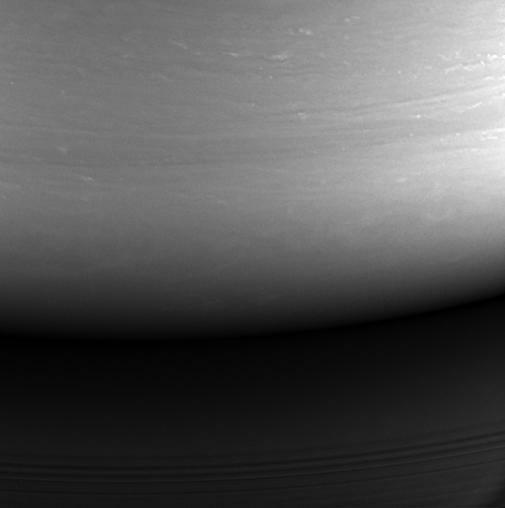 It looks toward the planet's night side, lit by reflected light from the rings, and shows the location at which the spacecraft would enter the planet's atmosphere hours later. A natural color view, created using images taken with red, green and blue spectral filters, is also provided (Figure 1). The imaging cameras obtained this view at approximately the same time that Cassini's visual and infrared mapping spectrometer made its own observations of the impact area in the thermal infrared. 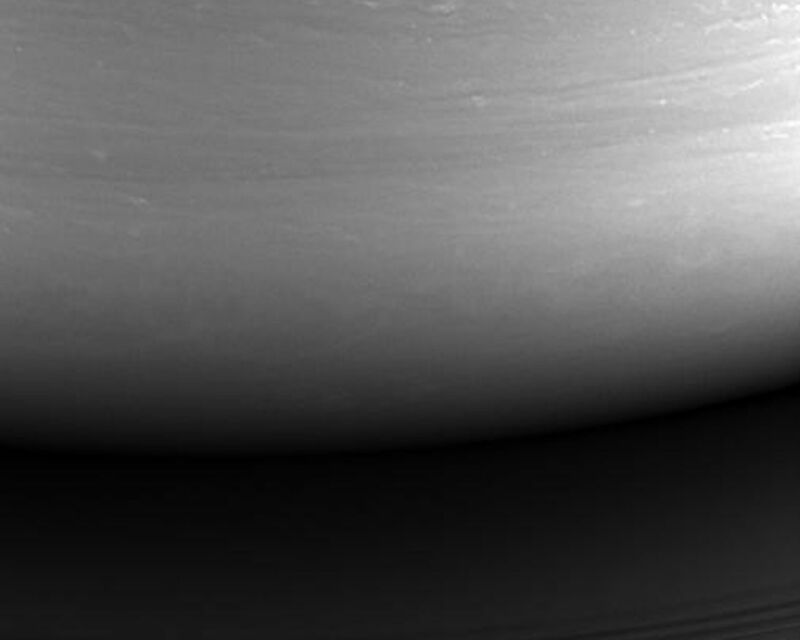 The original image has a size of 512x512 pixels.